OCULAR DISEASE TREATMENT & MGT. Pediatric to geriatric - we provide THE most accurate measurements of your eyes, diagnosis and treatment of eye disease and injury, complete contact lens services, co-management of LASIK and cataract surgery, and eyeglass and sunglass styling and materials to complement your lifestyle. We are a Premier Provider for VSP. We are also participating providers for EyeMed, Medical Eye Services, Davis Vision, Contra Costa Health Plan (CCHP), and most PPO plans (BCBS, Anthem BC, HealthNet to name a few). Please call, we can help you verify your eligibilities for services and materials. 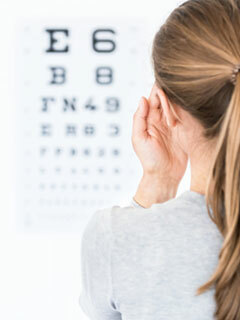 Low vision services are offered in which telescopic and magnification devices are prescribed to those suffering from vision loss related to such diseases as Diabetes, Macular Degeneration and Glaucoma. We are dispensers for AO and 3M safety eyewear. Please call for more info.